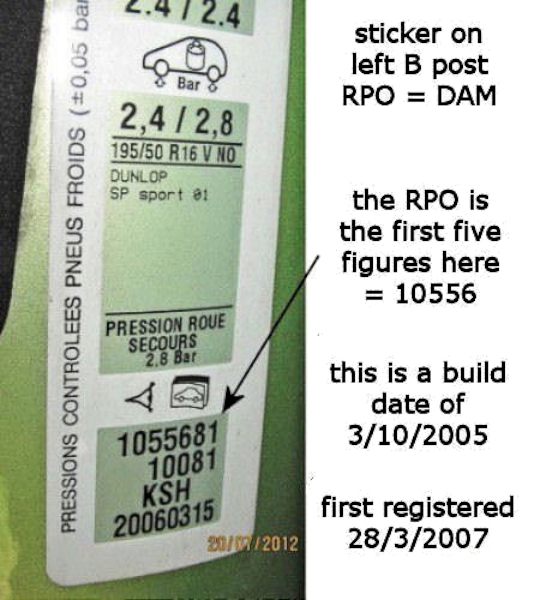 in addition to Vin Numbers, Peugeot use RPO (or DAM) numbers that include the date the car left the factory. 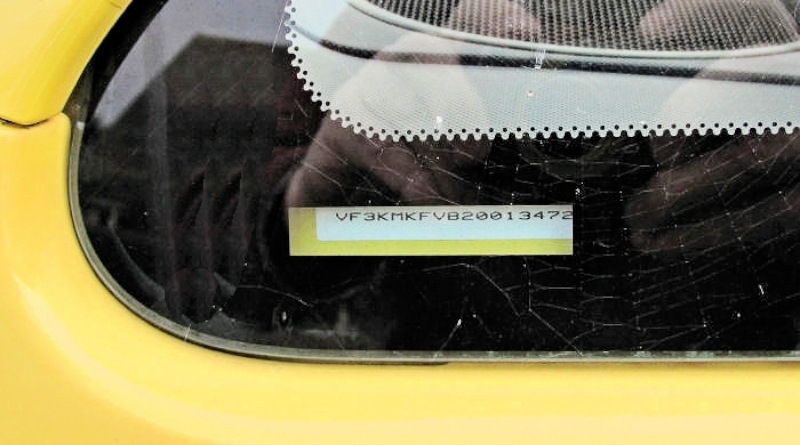 This means that a number of cars will have the same RPO number. It should be on the passenger side (UK) B post sticker - picture is from my 1.6 Sport. Many of these cars were stored for up to 18 months before sale. The last two numbers - 81 = means the car was built at Poissy.